The Central New York Region is characterized differently depending on who you’re talking to. There’s a bit of a fuzzy border between the western edge of the Central region and the eastern edge of the Finger Lakes. 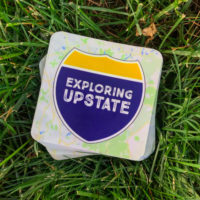 Its proximity to wine country and the formerly-known-as Leatherstocking Region have helped shape a unique culture for the small towns in this area. Even with an educational institution like Syracuse University making the city of Syracuse a busy city, much of the Central New York region is rolling farmland dotted with small, vibrant communities. History here spans all the topics you’re used to hearing about New York. As the Erie Canal once sliced through downtown Syracuse, this region has a fascinating past with the Underground Railroad, religious history, and salt production. Plus, it gave us one of the largest hoaxes to first be uncovered in the country! 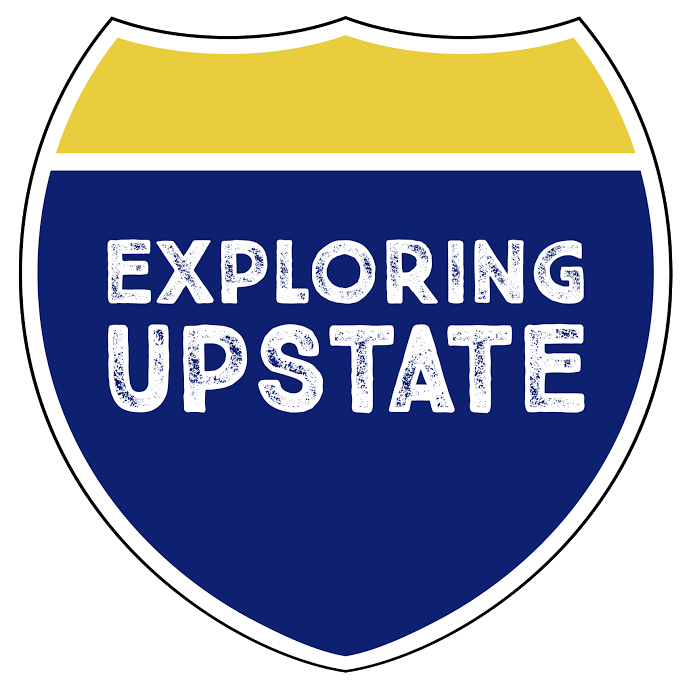 For the purposes of this page and the rest of Exploring Upstate, the Central New York region is defined by seven different counties. Included in this list, you’ll find facts from Oneida, Madison, Chittenango, Broome, Otsego, Montgomery, and Schoharie counties. – In 2008, MLB announced that the final ever Hall of Fame Game played in Cooperstown would be played that year on July 16, forever ending the annual tradition that began in 1940, because of ‘the inherent challenges’ of scheduling two teams to play. The game ended up being cancelled because of rain. – After Prohibition was repealed, the very first brewery in the nation to receive a license to sell beer was in Upstate New York! Utica Club became the first legal brewery in the nation on April 7, 1933. – Sherrill is the smallest city in New York State and has a population of only 3,100. – Cooperstown was founded by William Cooper, who the town is named for. His son, James Fenimore Cooper was born and raised there, and later wrote a series of novels. One of those novels was “Last of the Mohicans”. – The victory celebrated by the North after the Civil War is often credited to the salt industry that boomed in Syracuse during the 1800’s. As the Union controlled the salt mines in Virginia and Pennsylvania, the Confederate Army had little access to salt. While the Union could preserve food rations with easy access to salt, the Confederate soldiers found it nearly impossible. – Lansing Street in Utica was named for John Lansing. He was born in Albany, and later was mayor to the city. As his popularity increased, so did his prominence, and he would then serve as Chancellor to New York from 1801-1814. Later, the town of Lansing, New York would be named for him, and New Yorkers who moved west would found the city of Lansing, Michigan in his honor, which is now the Michigan state capital.